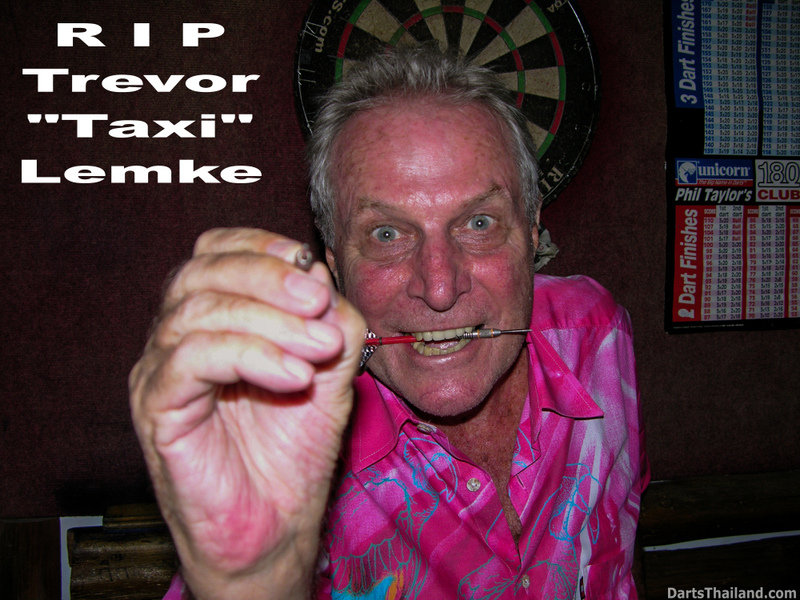 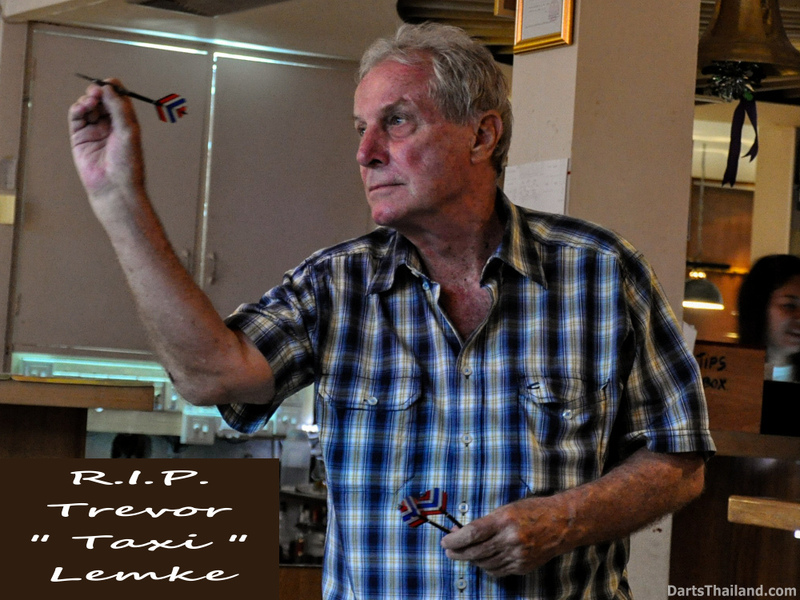 On 16.8 I received sad news that my old time friend, Trevor, ”Taxi”, Lemke had passed away the previous day. 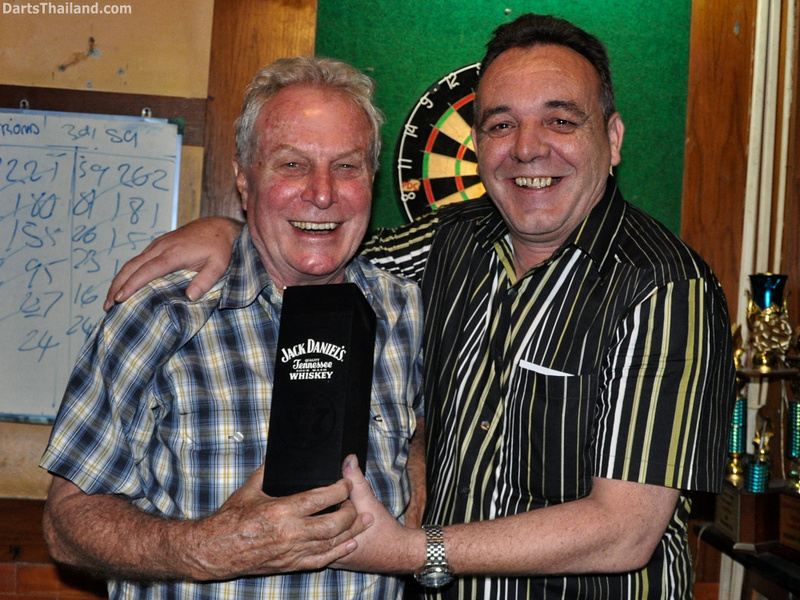 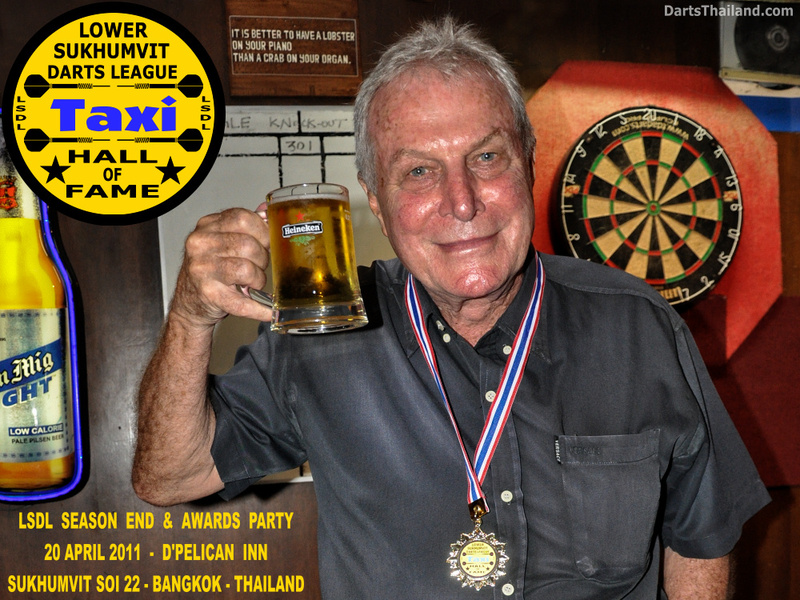 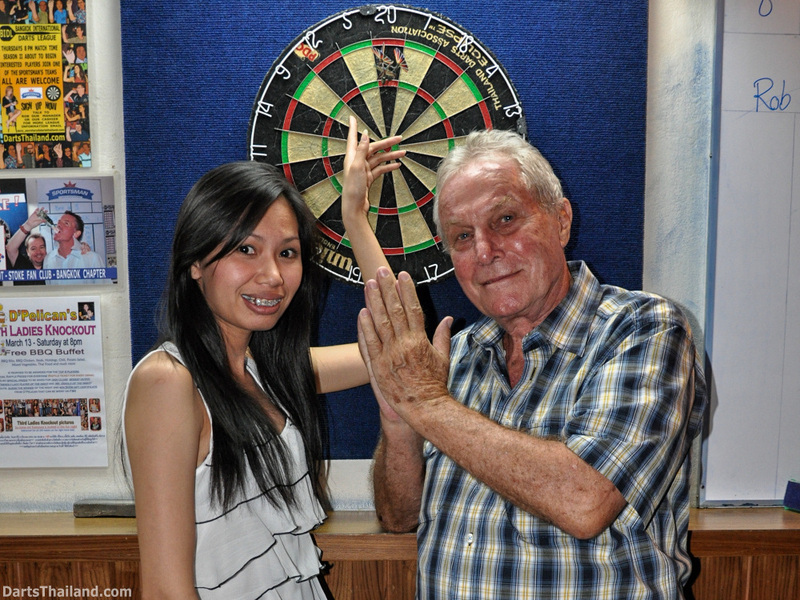 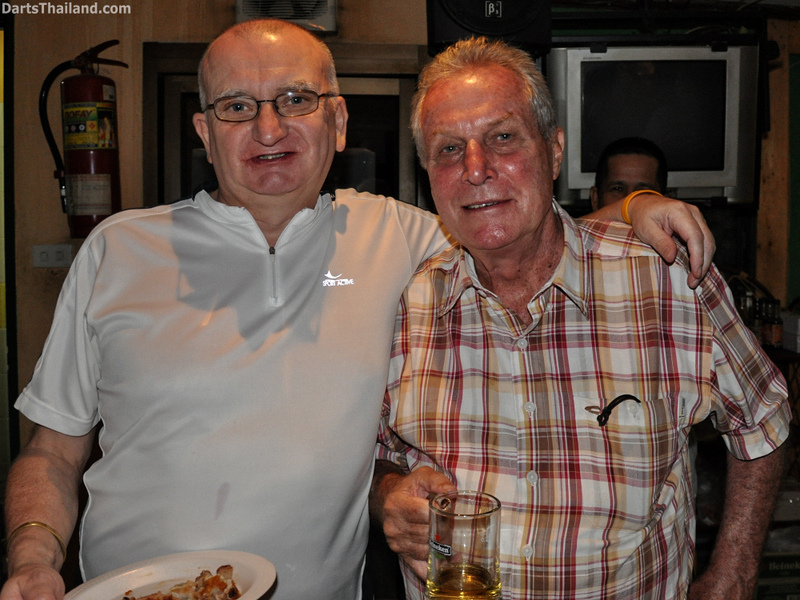 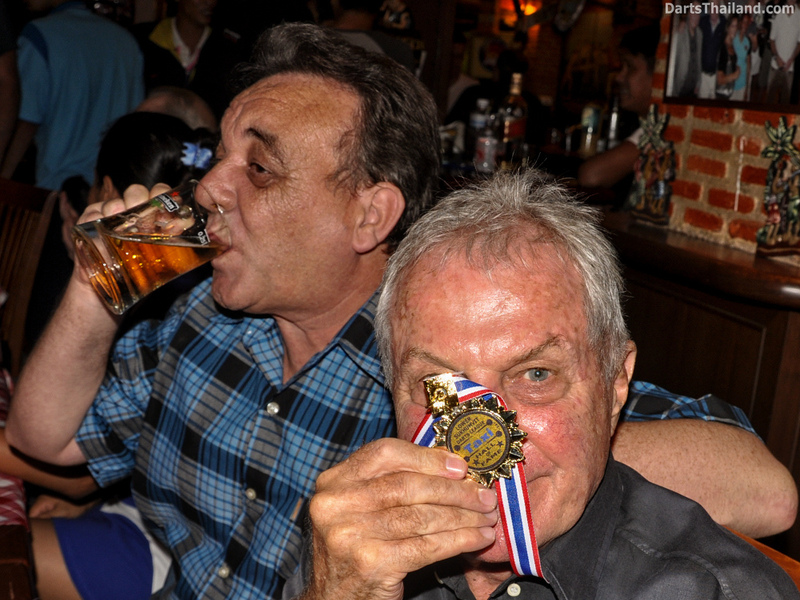 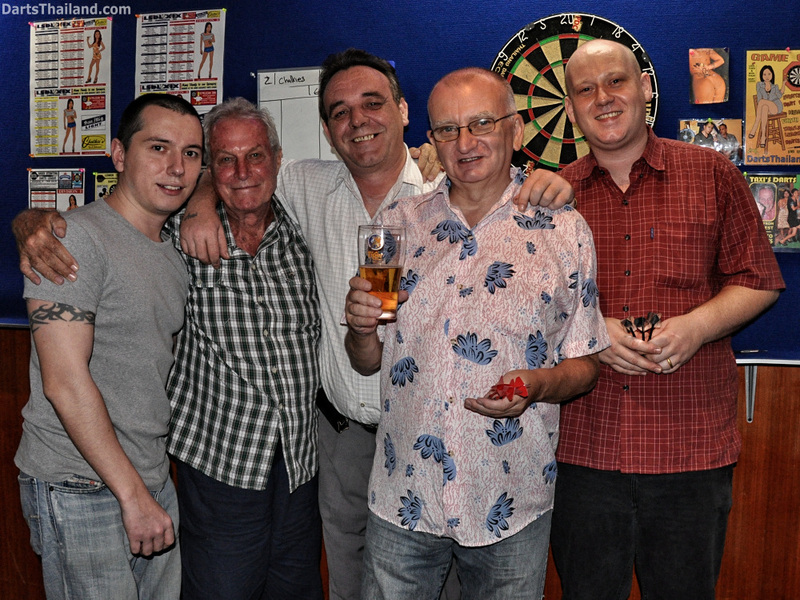 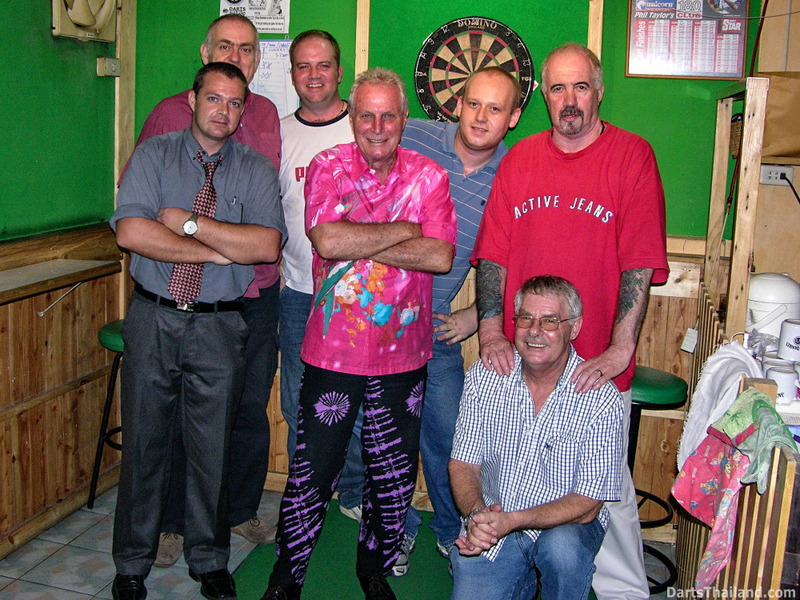 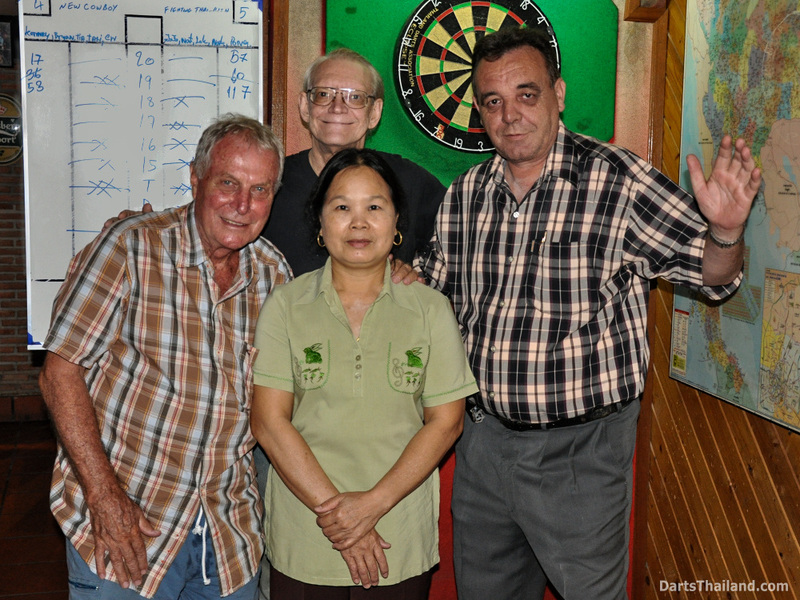 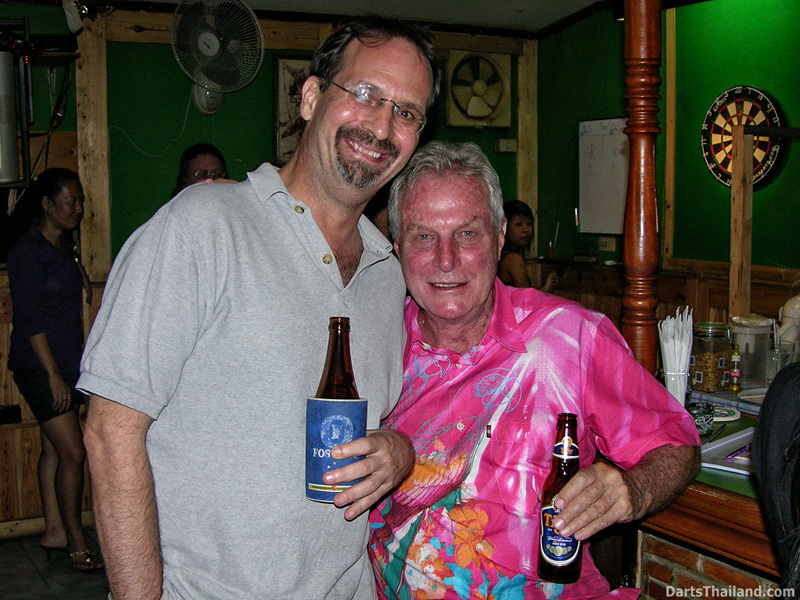 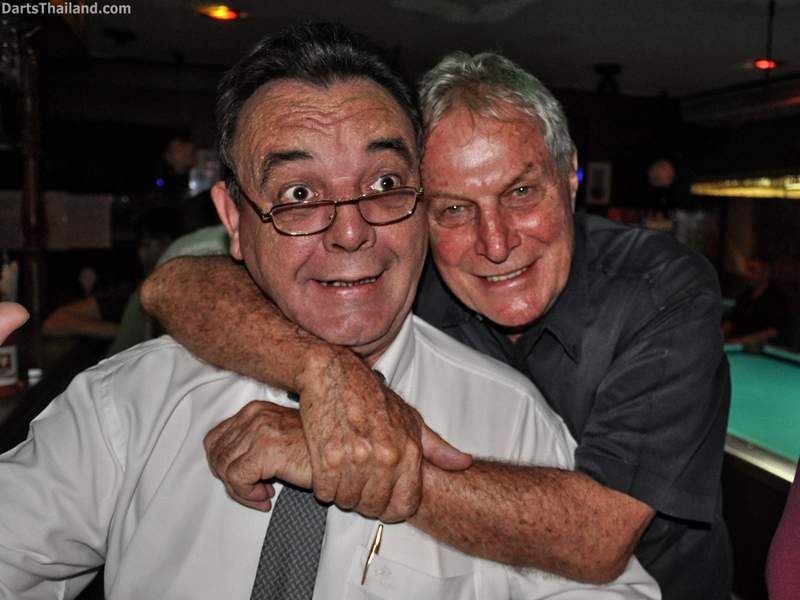 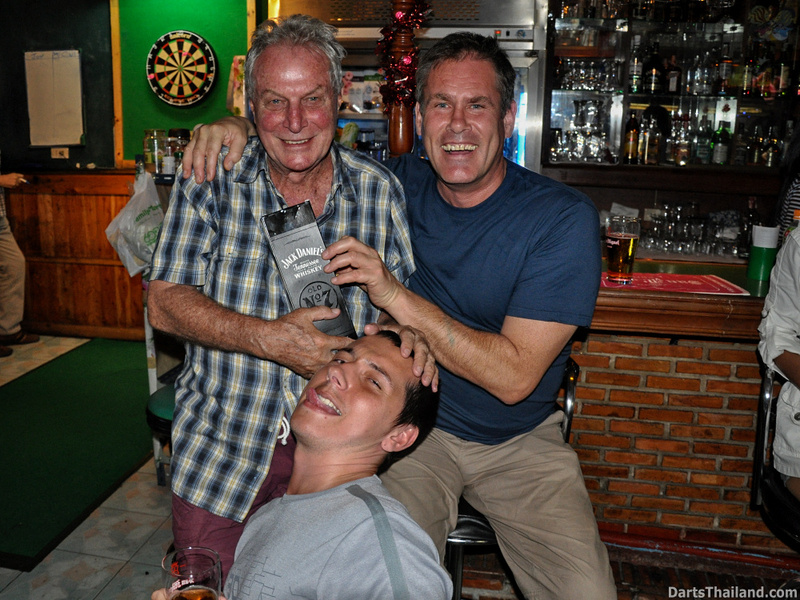 Taxi was a good friend and my long time darts team companion in Bangkok. 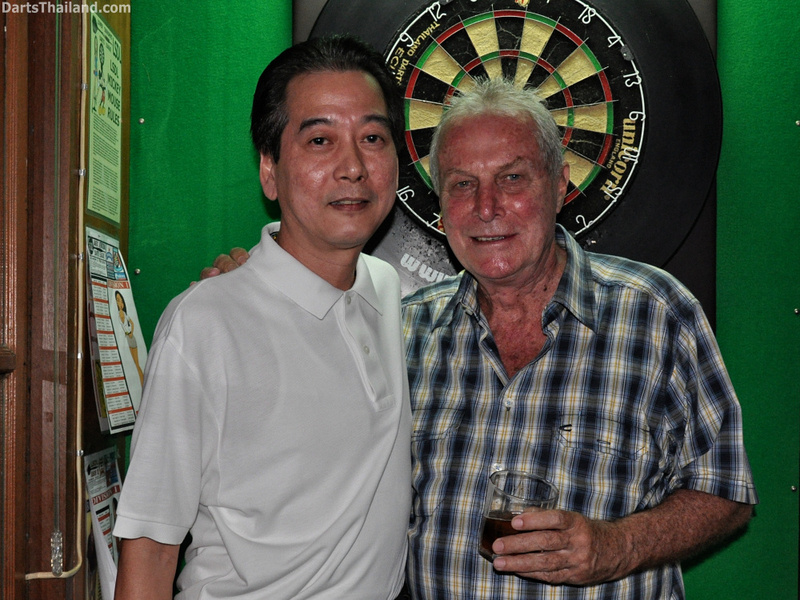 He played several seasons in Bangkok Darts League, Hong Kong Transpack Darts League and Lower Sukhumvit Darts League. 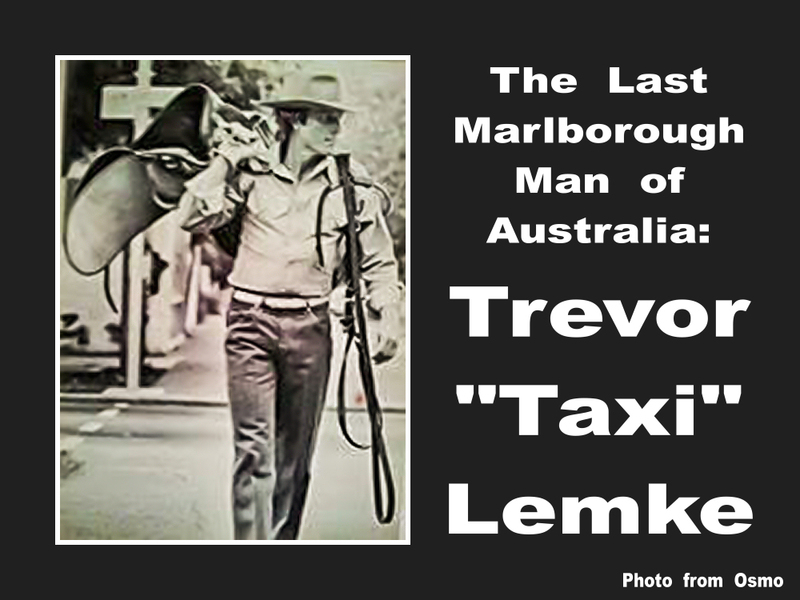 I first met Taxi in the summer of 1990 at Lucky Luke’s, Nana Plaza. 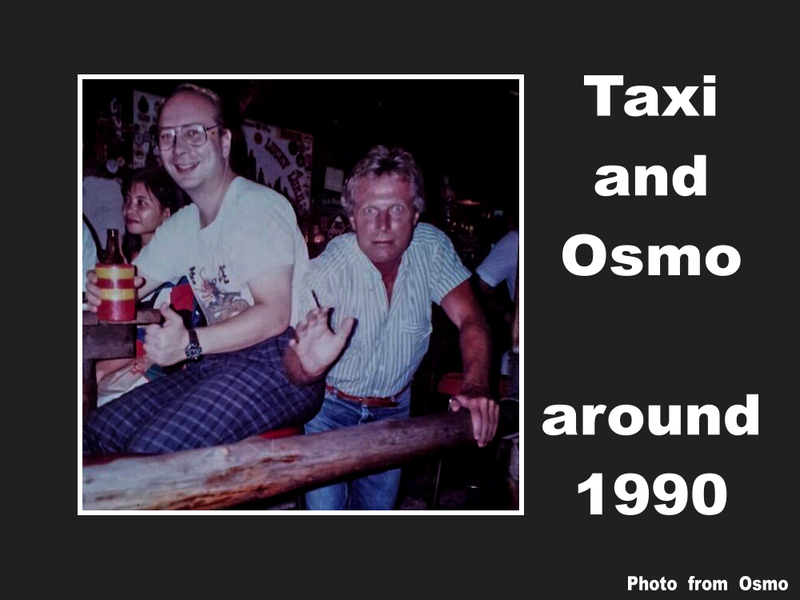 I was going to south for my October vacation and Taxi said that he was planning to go south, too. 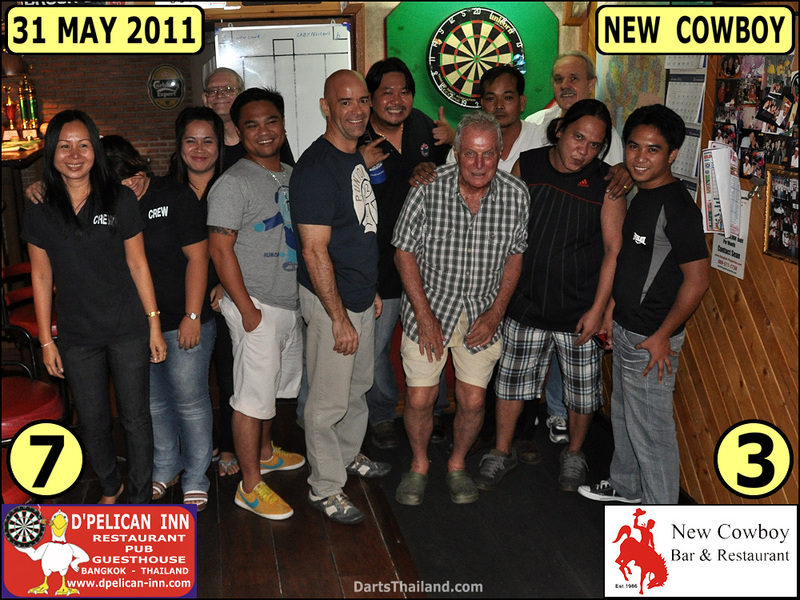 So we agreed that we’d meet in Nakhon Sri Thammarat, which we did and then proceeded to several other places in south ending in Phuket. 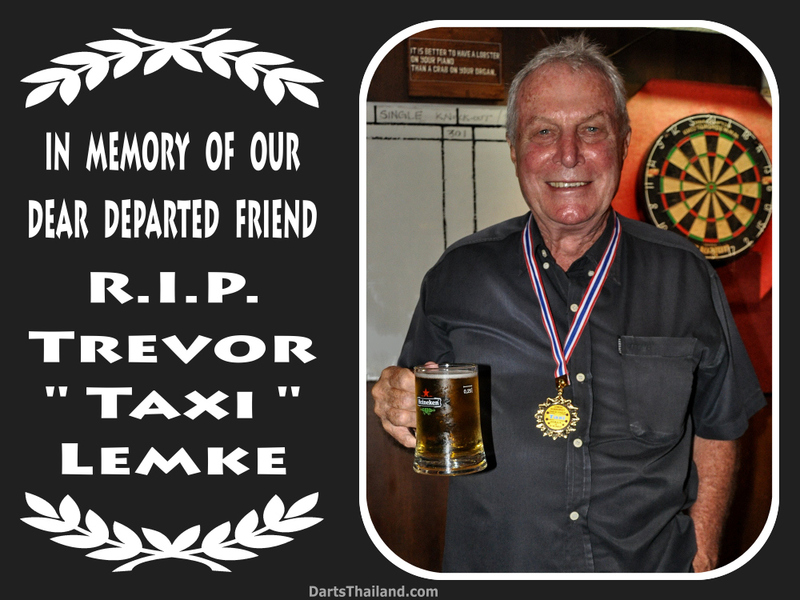 Taxi went back to Australia, where he was working as a photographer but he always informed me when he was about to come back to Thailand for his holidays. 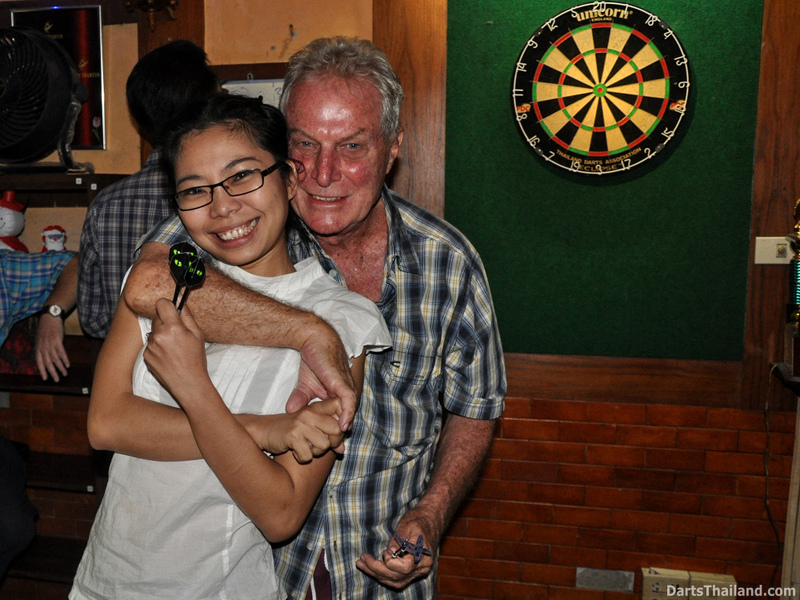 So for the next couple of years we met whenever he was in Thailand. 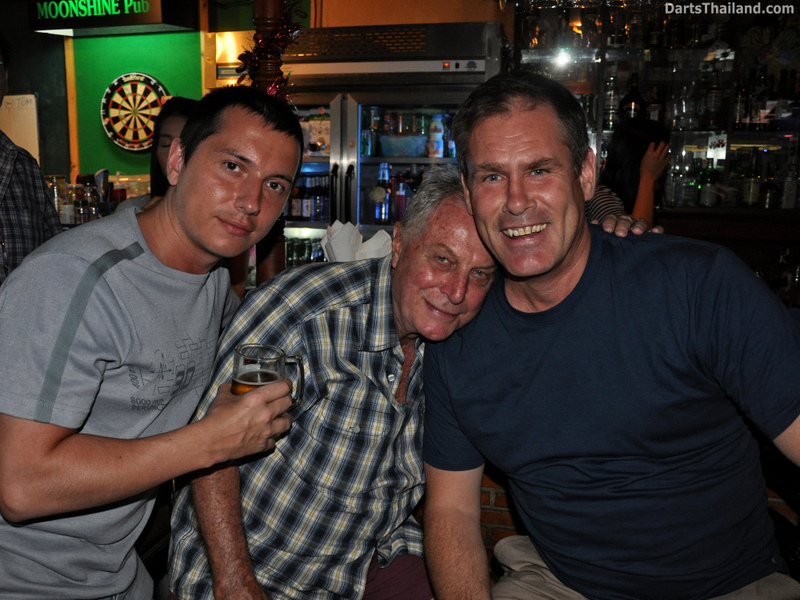 After he had moved to Thailand on permanent basis in around 93-94 we started going out together for drinks in different venues of Bangkok and every now and then we travelled to provinces to experience different kind of Thailand. 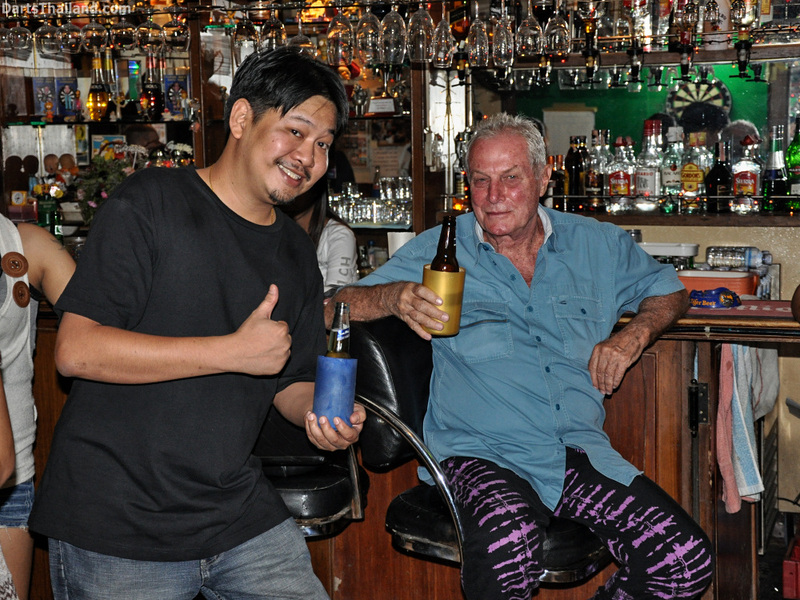 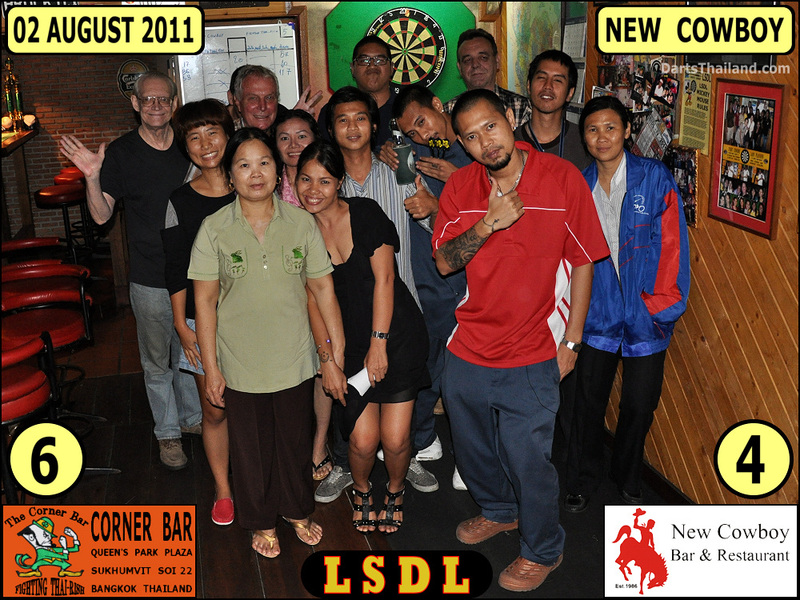 Also New Cowboy Bar’s Sunday night lucky draw became our regular event. 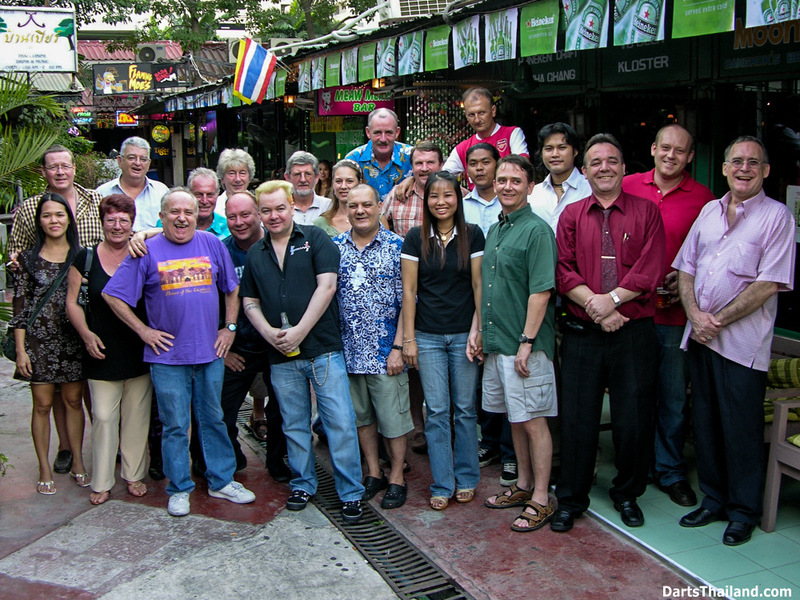 We’d go to Lumphini Park in the afternoon, fill ourselves with picnic food and wine and then head for Soi 22. 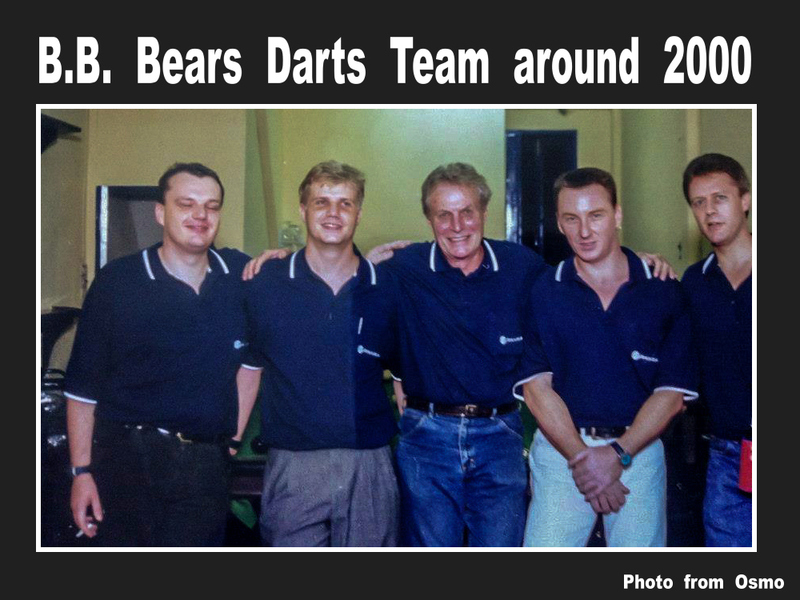 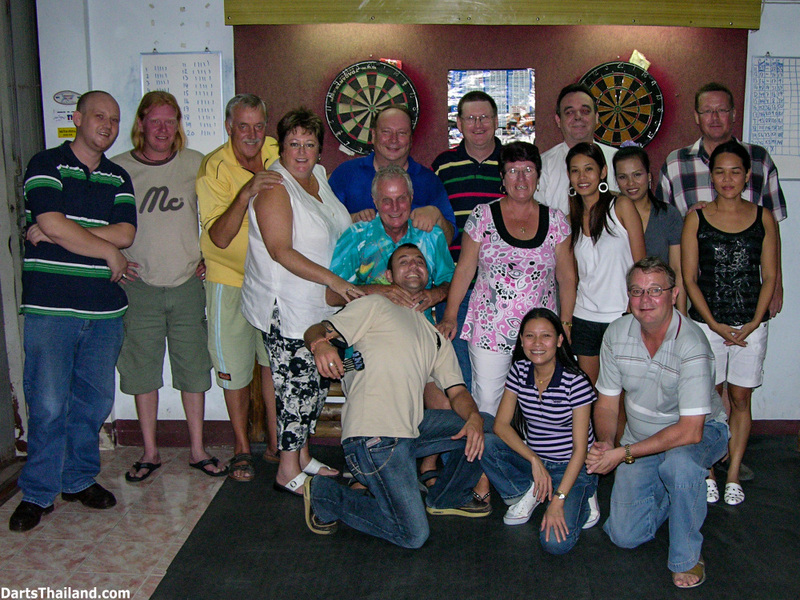 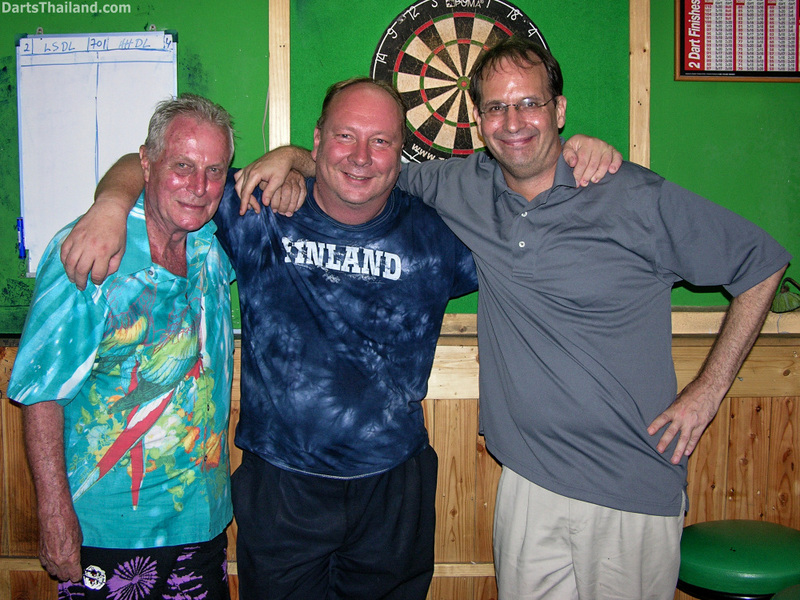 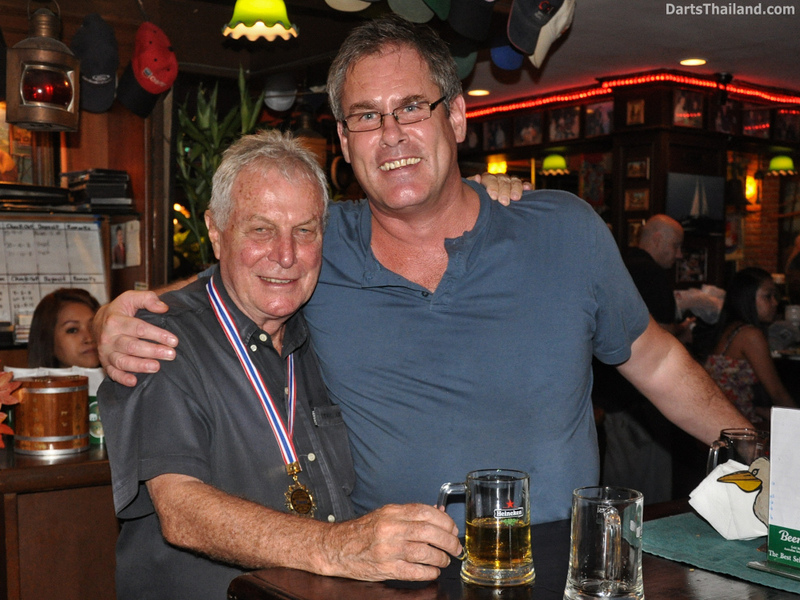 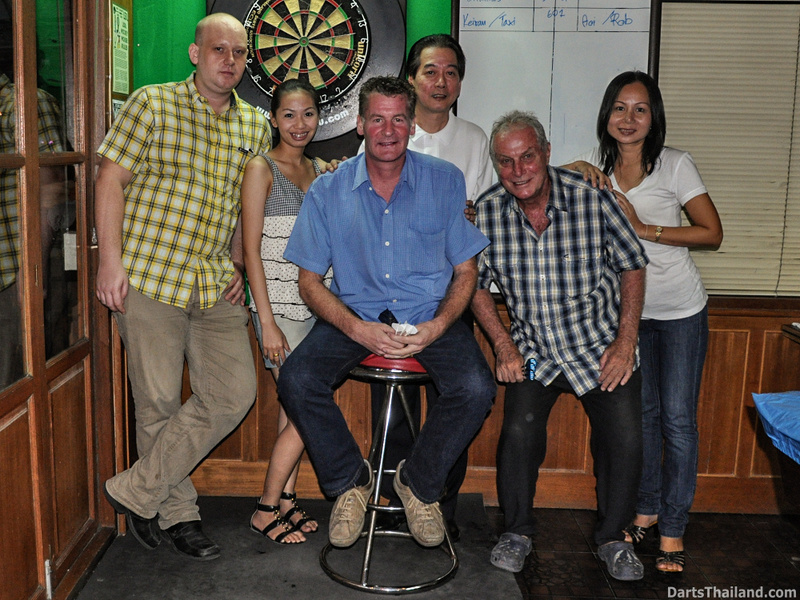 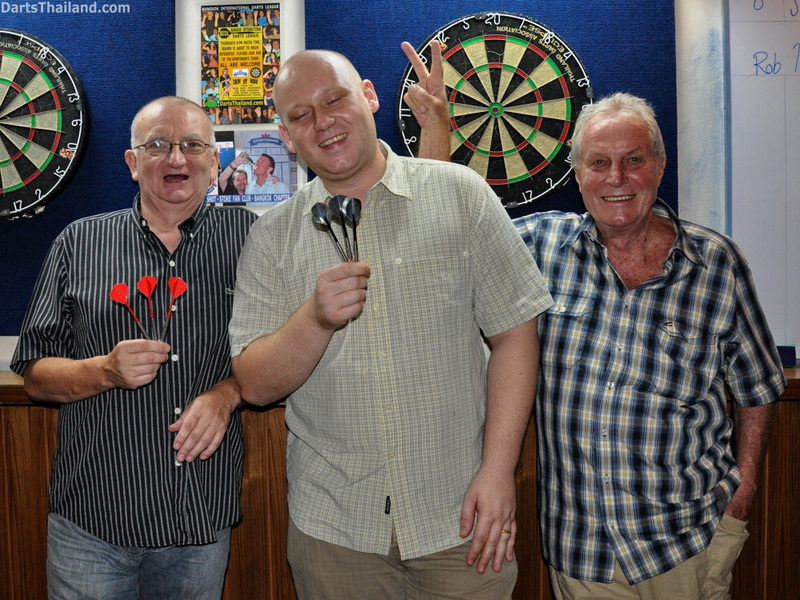 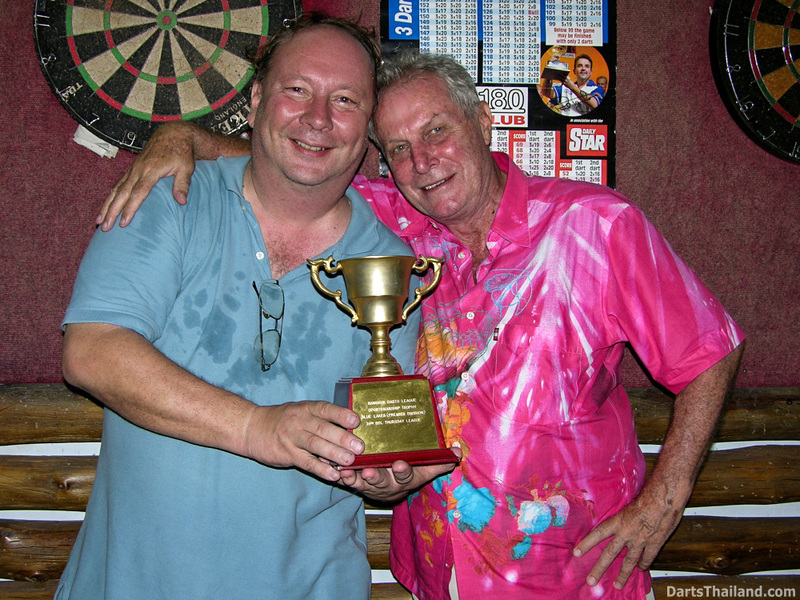 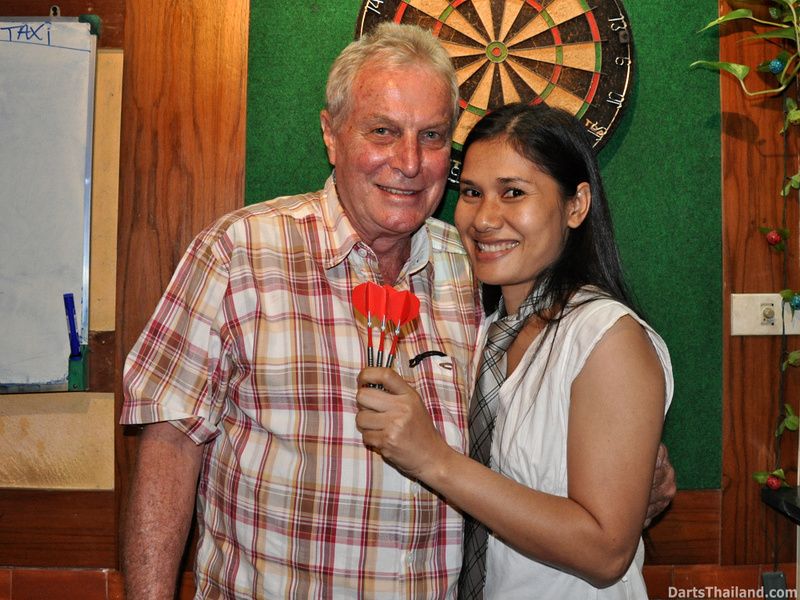 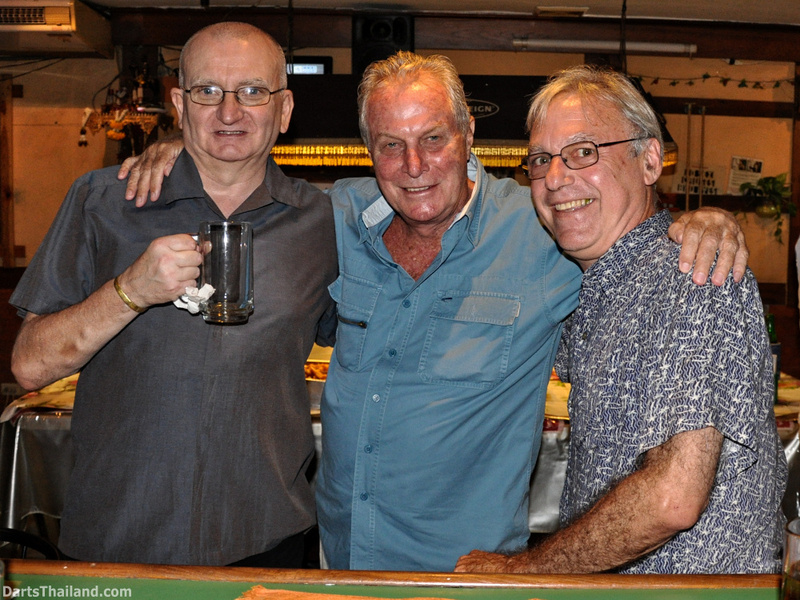 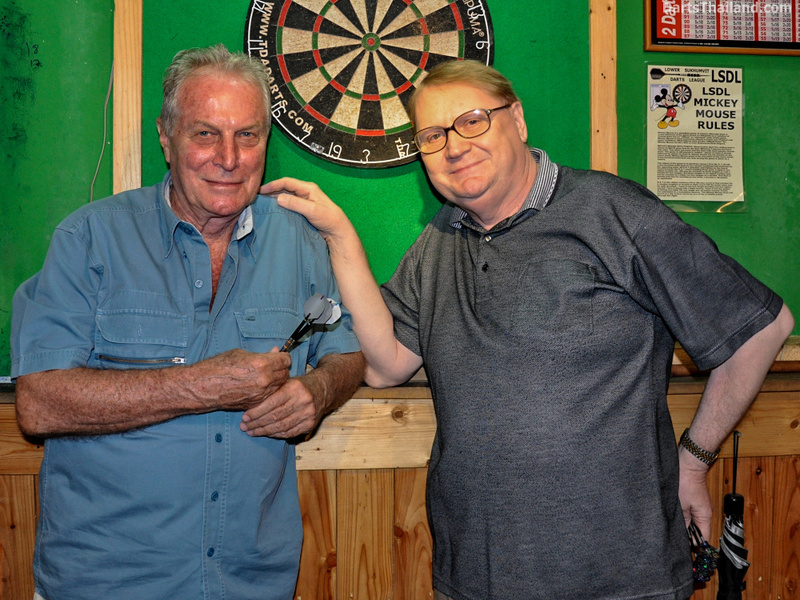 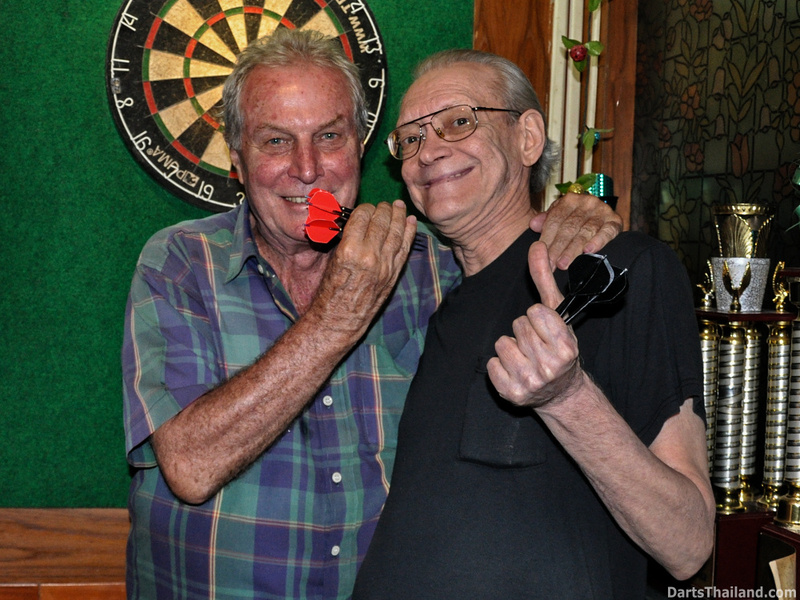 We played darts together for several seasons before I moved to Hua Hin in 2002 and after that we met each other regularly either in Bangkok or Hua Hin. 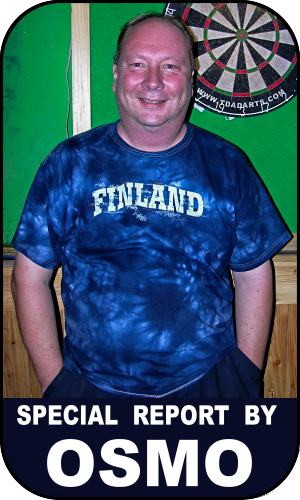 I personally met Taxi the last time in May 2008, the night before I returned to Finland. 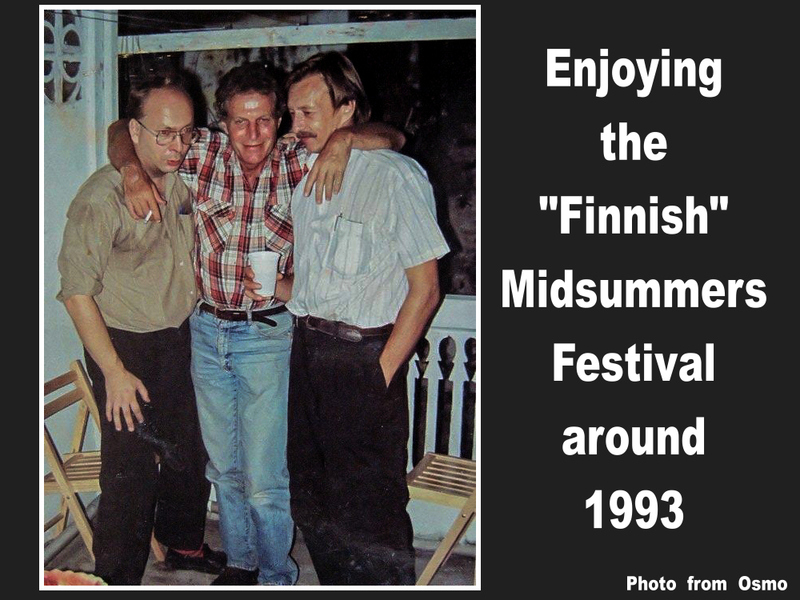 He had prepared plenty of food and drinks for us in his room and we spent that evening and night drinking and talking about the old days. 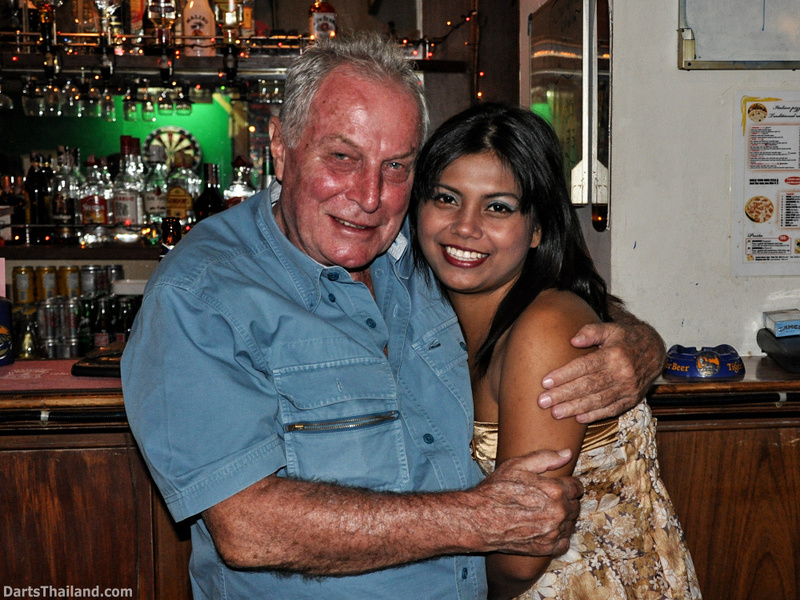 Unfortunately, that was the last time I met him personally. 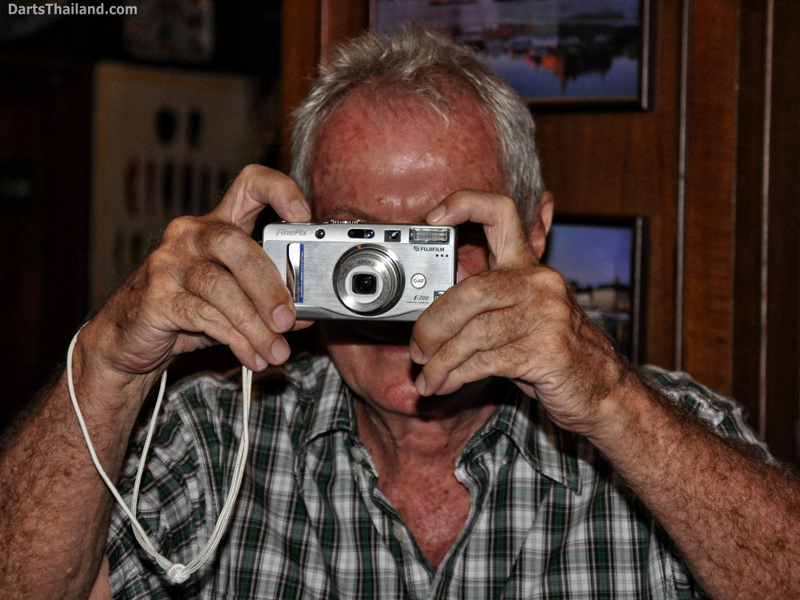 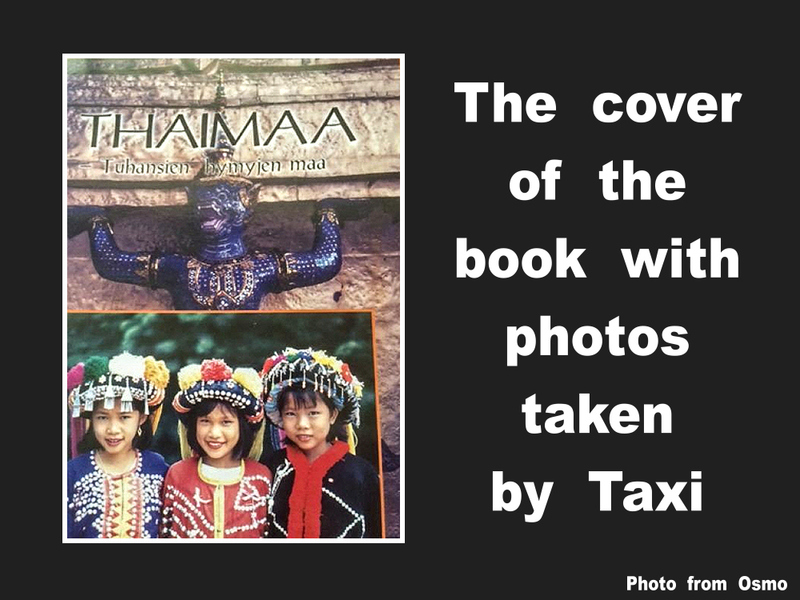 Most of the photos in the first edition of my book and all in the second are Taxi’s photos of Thailand so at least for me he will live on in those photos.